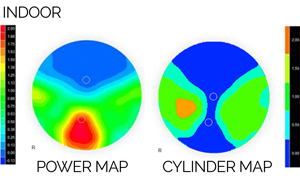 Novar Free-form Lens Designer has been in development for over seven years. Successfully utilized on tens of thousands of lenses, Novar can be implemented on a broad variety of laboratory management systems and surfacing platforms, including Coburn’s Cobalt System, as well as those of other major equipment manufacturers. There’s a 30-day trial available for anyone interested in testing the product on a risk-free basis. This technology allows the modelling of optical surfaces with an infinite amount of control points, thus creating personalized ophthalmic lenses tailored to each patient’s requirements, reaching higher levels of comfort and a wider visual field. 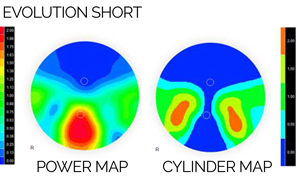 This technology allows the modelling of optical surfaces with an infinite amount of control points thus creating personalized ophthalmic lenses tailored to each patient’s requirements, reaching higher levels of comfort and a wider visual field. Circular Fit Thickness circulation from the lens diameter (CRIB) chosen by the patient. Optimal Fit Thickness reduction from frame data (HBOX, VBOX, FED, FEDAX, DBL, IPD). Smart Fit Intelligent frame thickness calculation technology. A technology developed in order to thin the edges of an ophthalmic lens. An optic zone is defined around the frame cross. 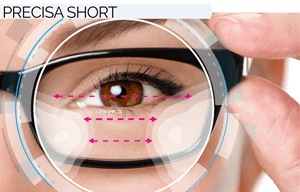 Away from this zone, the thickness is reduced with a gradual change of curvature in order to obtain a thinner lens. For first time progressive users between 40 and 45 years old. 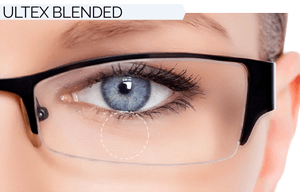 Provides an excellent transition from their old mono-focals. Free from astigmatic aberration in the upper meridian. Patients won’t be able to tell the difference in distant vision between their old monofocals and new progressives. Wide field in peripheral vision. Limited design up to +2.00dpt. Multipurpose progressive for users that require a balance design adapted to different daily tasks. Balanced design provides maximum coverage of all vision zones. Aberrations located at the center allow near and distant vision. Similar to the market’s most standard design. Available in all corridors and in short versions. Wide spherical consistency at the near vision zone. Multipurpose short corridor progressive for users that require a balanced design adapted to different daily tasks. The most evolved design for progressives to accomplish the best visual correction in all zones. Optimization of all vision zones. Molding technology used to allocate aberration in the the lower zone while making sure the major part of them stay put when the lens is mounted. Available for all corridors including short version. Wide consistency in near vision. The most evolved design in short corridor progressives to accomplish the best visual correction in all zones. Specifically designed for users who prefer bifocals. This design offers improved aesthetics for a virtually invisible design made with free-form technology. Patients won’t be able to tell difference in distant vision between their old monofocals and new progressives. Multipurpose progressive for users that require a balanced design adapted to different daily tasks. 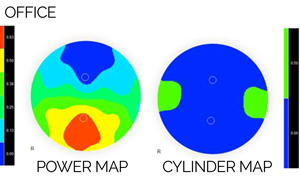 Wide spherical consistency for the near vision zone. Digressive multi-focal for near vision with benefits in all the intermediate zones. Designed specifically for patients who require an extremely wide near vision, and an intermediate vision without peripheral limitations. 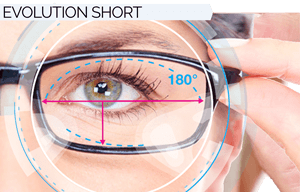 Maximum visual correction in near and intermediate zones. Aberrations allocated in the periphery away from major areas of the lens when mounted into frames. Does not require adaptation due to low digressions. Available in all digressions from -0.75 to 2.25 dpt. Non-inset advanced progressive lens design for monocular vision. Excellent balance of all three vision areas. 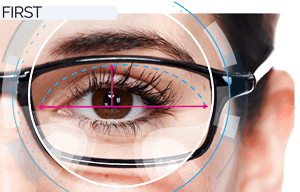 Personalized aspherical and atoric mono-focal that improves visual quality and the perception of detail without the vast majority of spheric aberrations, while improving the field of vision in every direction. Progressives specifically tailored to fit the needs of patients who spend most of their time behind the wheel. 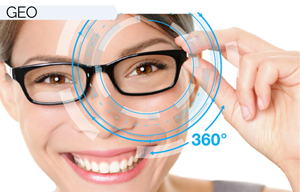 Optimized for far and intermediate vision. 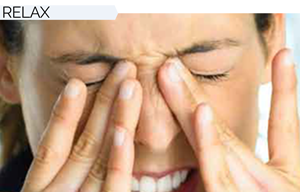 Peripheral vision with maximum visual correction. Available in all corridor sizes and materials. Progressives designed for patients who have a very active outdoor life. Excellent dynamical vision due to low level aberrations. Progressives designed for indoor environments. 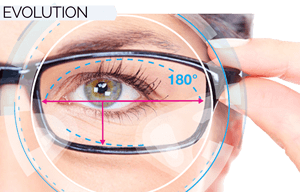 Specifically designed for patients with greater than +2.00 D, but who also need a far vision zone. 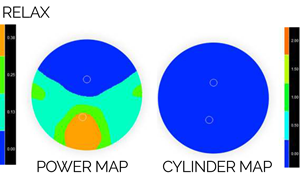 Optimized in intermediate and near zones. Aberrations located in the upper meridian to optimize the most required zones. Wide spherical consistency in near zone. Designed for patients without presbyopia, and require a relaxed vision. Available in +0.36 and +0.50 D.